Wow! What can I say and keep this brief? Nine of us met at Euston at 10.00 a.m. for a brilliant day led by Alex and Miriam. We went through the City and stopped at some unusual sights. 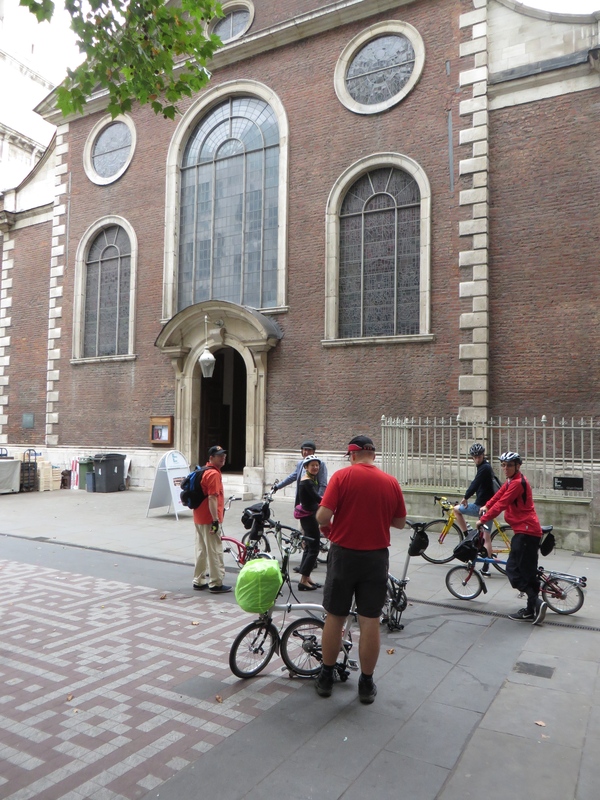 Bow Bells aren’t in the East End; they’re in the centre of the Cordwainers Ward. Cordwainers = Shoemakers – a Northampton connection. And John Smith, who married Pocohontas, was a shoemaker! We enjoyed a pint in The George Inn and fish & chips in Long Lane. We went to Alaska and saw a Banksy. 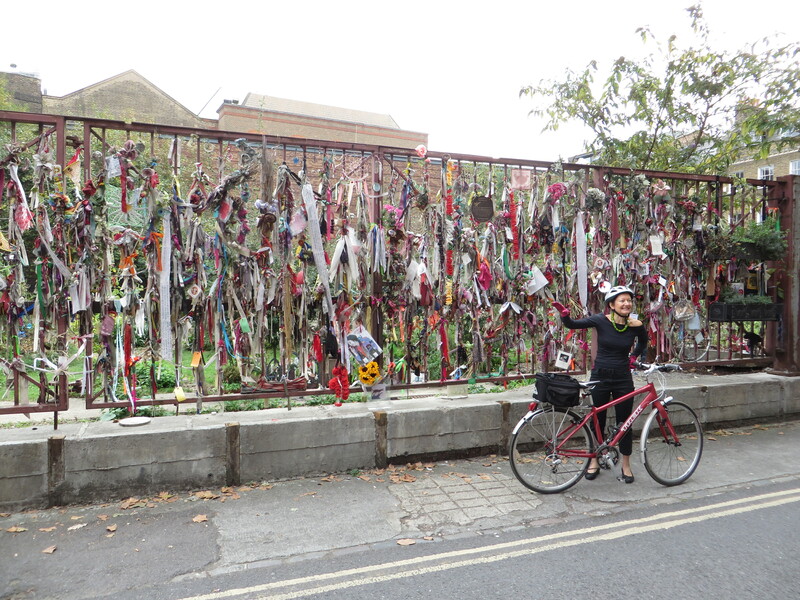 We saw street markets and the river in Bermondsey; and then a statue of Tsar Peter the Great in Deptford. 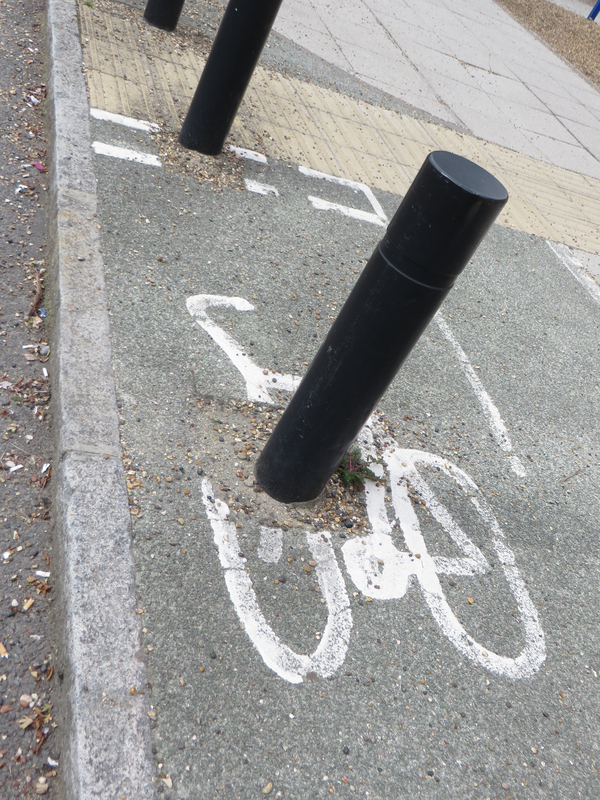 We passed (we didn’t use) the worst cycle lane in Britain to get to the Cutty Sark and the Greenwich Foot Tunnel (we’d been invited into the original Brunel tunnel), sampling the products of the Meantime brewery on the way. 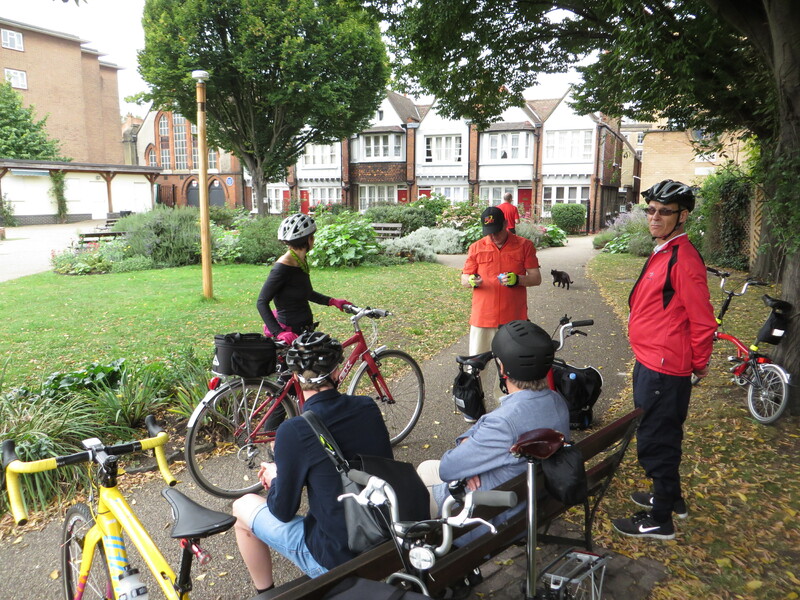 North of the river again, we paused to admire Millwall Dock (not many people can say that) and reached the Ragged School in Mile End. 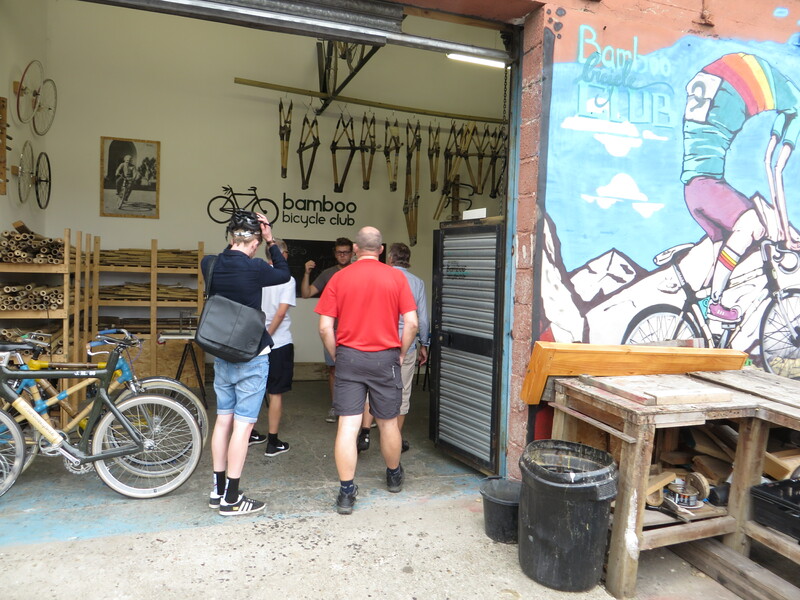 And then my cycle-related favourite: the Bamboo Bicycle Club in Stratford where we had the opportunity to ride bamboo bikes. We rode down Columbia Street, famous for its flower market and paused outside Lululemon who sponsored a team in this year’s Tour of Britain Women’s Race. 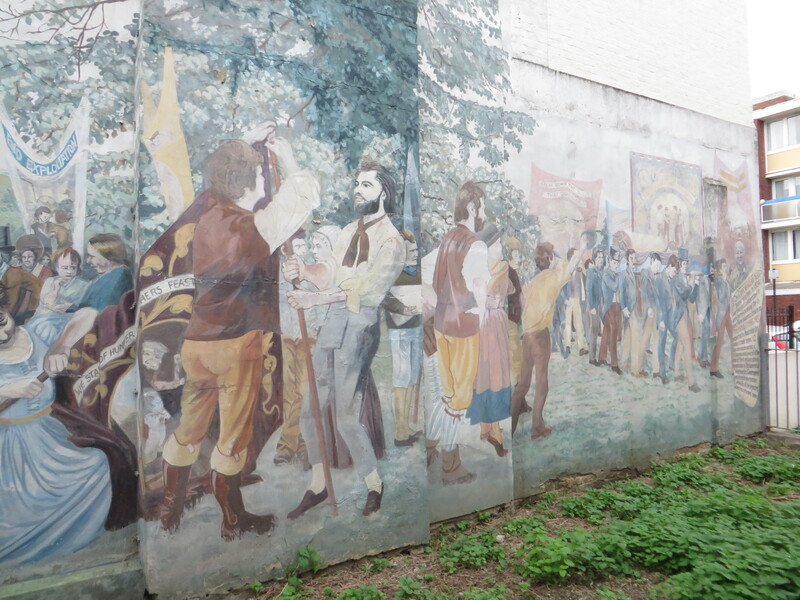 We enjoyed another pint in The Albion in Islington before stopping at The Tolpuddle Martyrs’ Mural in Copenhagen Street. And we were back at Euston before 6.00 p.m. as promised so that everyone could catch their trains. All the photographs I took are here on Flickr. And … above all … huge thanks to Alex and Miriam who led us well, kept us informed and entertained, and left us wanting more!